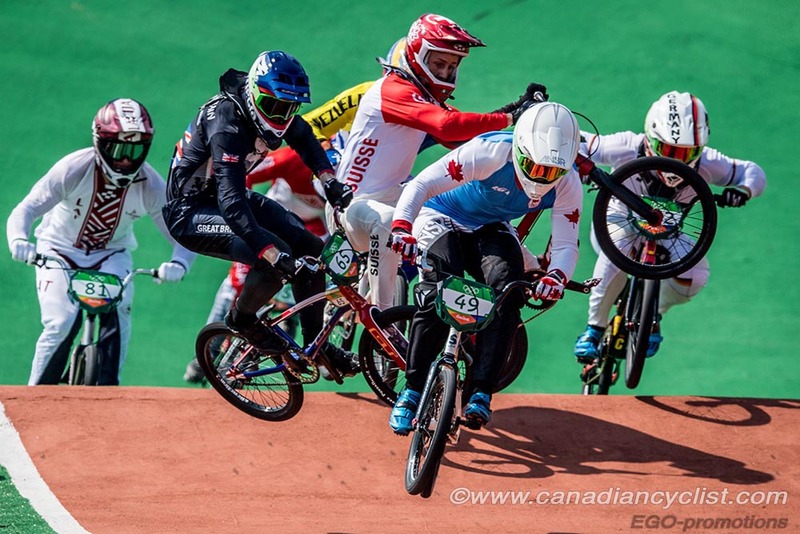 Cycling Canada is pleased to announce the team of 14 athletes who will represent Canada at the UCI BMX World Championships, to be held at Rock Hill, South Carolina, USA, on July 25-29. The team is led by Tory Nyhaug of Coquitlam, BC, the 2015 Pan Am Games champion and two-time Olympian, who finished fifth in Rio last year. Joining Nyhaug in the Elite Men's field are James Palmer, Gaby Malenfant and Alex Tougas. Tougas finished fourth in the Junior Men last year. In the Elite Women's category, Drew Mechielsen of Langley, BC, is having her strongest season to date, making the semi-finals in both World Cups this season. Mechielsen will be joined by Daina Tuchscherer. In the Junior categories, only three riders out of eight are returning from last year; Riley Lavorato, Ben Leslie and Josh Samells. While these riders will be looking to put their experience to good use, the rest will receive an introduction to the highest level of competition. "We are really looking forward to the World Championships being in North America," said Adam Muys, National BMX NextGen Coach. "The facilities at Rock Hill are World Class. We were able to spend some time on the track in March to help get ready for the race. Our team is led by Tory Nyhaug, who is looking to better his fourth place finish at last year's World Cup on the same course. Alex Tougas will race his first World Championships as an Elite, after finishing fourth in Junior men a year ago. On the female side, Drew Mechielsen is looking to build on her early season success in Elite Women on the World Cup circuit. Lastly, we have a big crop of Junior riders looking to battle their way into the Finals." Canada will also have over 300 athletes racing in the Challenge classes, for amateur age group competitors who have qualified through Provincial and National championships.